I had a couple of questions in the comments of a previous Library Loot so I thought I would take the opportunity to post the answers in a post in case anyone else was wondering the same thing. When should you post your Library Loot post? Whenever you like. Claire and I generally post on Wednesdays so that we are consistent in when the Mr Linky is put up, but you don't have to post on that day. Any day is fine. Do you need to include the Library Loot blurb? No, we do so that hopefully there are clear instructions, but you can just post the badge. We would like it if you linked back to either one of us so that people know where to find us as hosts, but that's it really. Other than feel free to post as little or as much as you like about your loot! The only thing we ask is that you have fun sharing the loot that you got! If anyone has any other question just ask in the questions and I will post a response to them in future weeks. 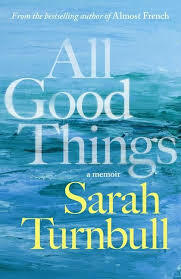 All Good Things by Sarah Turnbull - I recently read Almost French by Sarah Turnbull so I am eager to find out how life is treating Sarah and Fred. I gather from the blurb that they aren't living in Paris anymore. This author is also coming to Melbourne Writers Festival and I have bought tickets to that session. 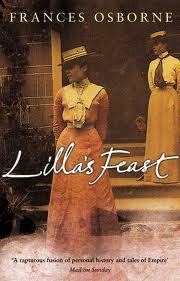 Lilla's Feast by Frances Osborne - I saw this mentioned on Kate Forsyth's blog and thought it sounded like my kind of read. 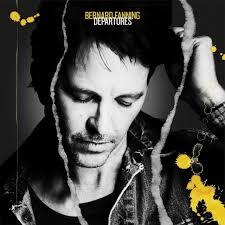 Departures by Bernard Fanning - Bernard Fanning was the lead singer of Australian band Powderfinger before they split up. His first solo album is one that I love to listen to on a regular basis. This is his second solo album. I thought I would share one of the songs off the album in this post. The Frances Osborne sounds something I would like too. I read her other book The Bolter - she certainly had some interesting ancestors. I haven't read Frances Osborne before Cat, so I am interested to see how it is. I have Lilla's Feast on my TBR list so I'll look forward to hearing what you think of it, as well as what you think of Turnbull's new book. Enjoy! I suspect I may well be seeing Sarah Turnbull talk at Melbourne Writers Festival before I read the book unfortunately! I saw Sarah Turnbull in Mudgee last week! She did a wonderful talk about her new book All Good Things- I have a signed copy now of course.... I started rereading Almost French the night before the talk, I must reread the whole thing before I get on to AGT. I was hoping to get to Melbourne this year (and would have gone to her session), but decided to go to Mudgee instead. I'm starting to blog about it today. I hope you enjoy the festival. I'm sure it'll be fabulous. Are you going to see Boris Johnson? I am not going to see Boris Louise. I do have one more session to fill so I need to hurry up and decide what that is going to be! I promise I know some happy songs Shannon! I really do! I missed the start of Powderfinger because they got big while I was overseas but I caught up over the last couple of years. I went to their final concert here in Melbourne and oh my goodness it was an awesome show!